I saw a phrase on a shirt while browsing Pinterest the other day. 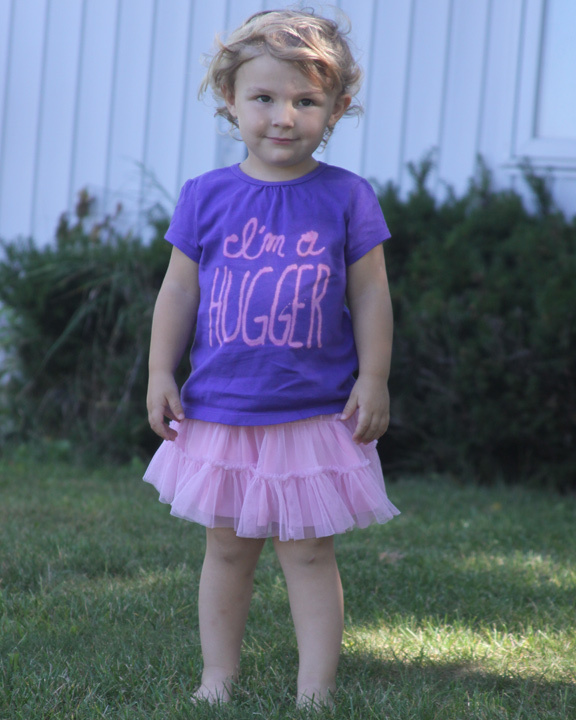 “I’m a Hugger” I thought it was so adorable, so I made my own version at home for $4.00. 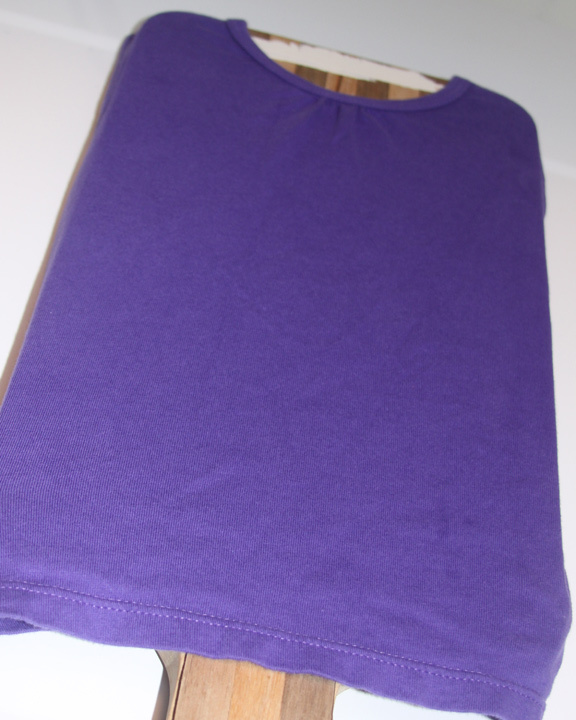 Making customized t-shirts using a bleach pen is unbelievably easy and really fun. It is an inexpensive project that takes minutes to create! These shirts are one of a kind and the possibilities are endless. Make them for the whole family, as gifts, and having fun getting creative! All you need is a t-shirt, a bleach pen, and a cutting board or piece of cardboard. 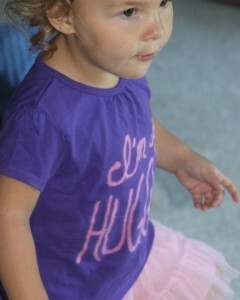 I use the cranimals kids shirts from Walmart. I think they are only $2.50! I use an old cutting board and put it inside of the shirt. 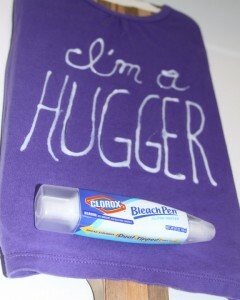 I stretch the shirt tight so it is easier to write on with the bleach pen. This also keeps the bleach from seeping through to the backside of the shirt. Pick a phrase or design and simply draw it onto your t-shirt using your bleach pen. I let my shirts sit for about an hour before washing. Then I wash the t-shirt separately and dry. That is it. Simple, easy, fun! I can’t wait for the kids to get a little older so they can make their own. Yeah! Let me know how they turn out! I would love to see them!